Well it may be Spring but I’m not sure the weather is quite aware of this. It was a blustery, wild day in Hampshire yesterday – it was definitely not been feeling like Spring at all. 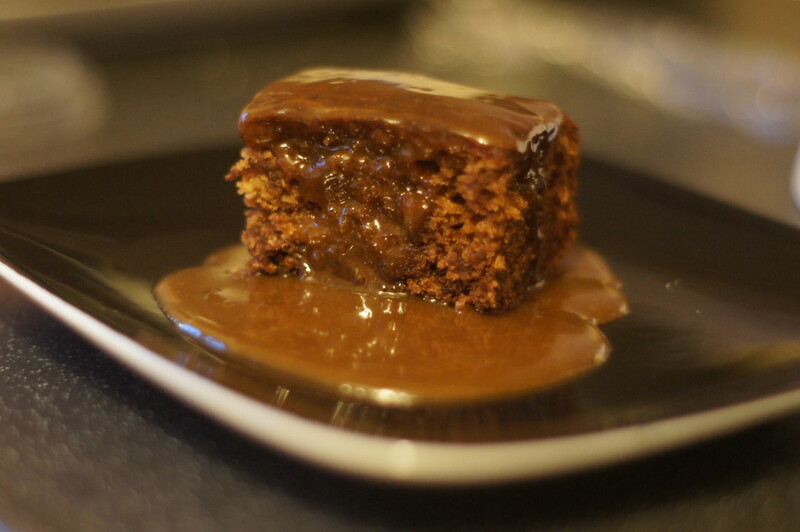 We had our friends Simon and Louisa over for dinner so I made this sticky toffee pudding for dessert. With yesterday’s weather a comforting, warm pudding was definitely needed! This is a Jo Wheatley recipe from here ‘Passion for Baking’. I’m yet to try a Jo Wheatley recipe that’s failed and this was definitely another winner. She does have a couple of recipes on her website ‘Jo’s Blue Aga’ which you can search for. You will need a 23cm square cake tin (I used a slightly smaller one and it still worked well). You can prepare this beforehand, let it cool and then reheat it when needed by leaving it in a low oven (100C) until you want to eat it (which is what I did – it sat quite happily in the oven whilst we ate our roast dinner until it was time for dessert). 1) Preheat the oven to 200C/400F/Gas 6. Butter and line a 23cm square baking tin with buttered baking parchment. 2) Tip the prunes or dates into a bowl and pour over the boiling water; cover (with cling film) and leave for 10 minutes to soften. 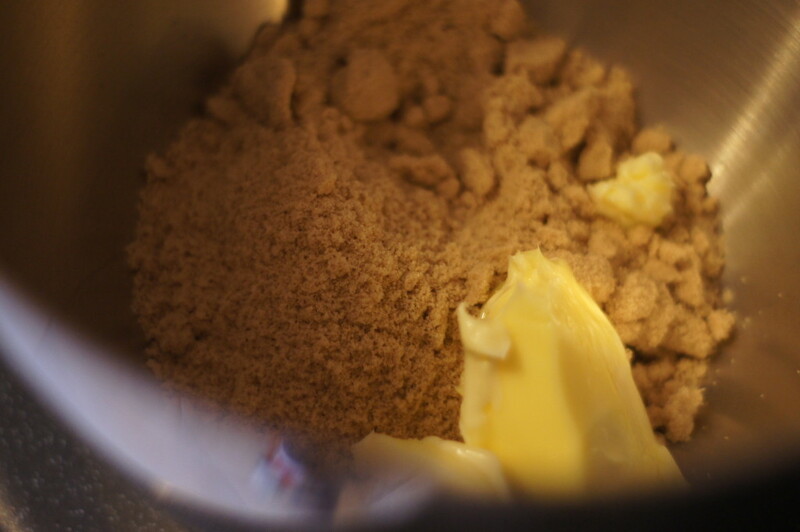 3) Cream the butter and sugar in the bowl of a free-standing mixer until light and fluffy (alternatively you can use an electric hand whisk). 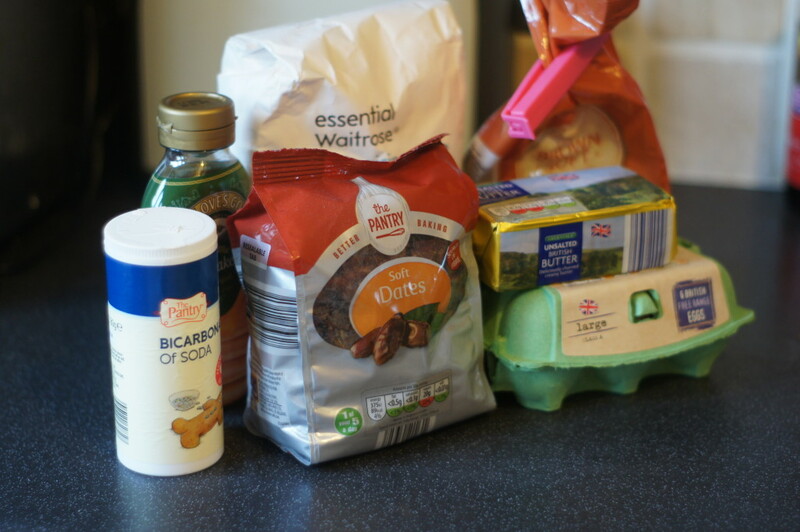 4) Slowly add the golden syrup and beaten eggs and mix well to combine. 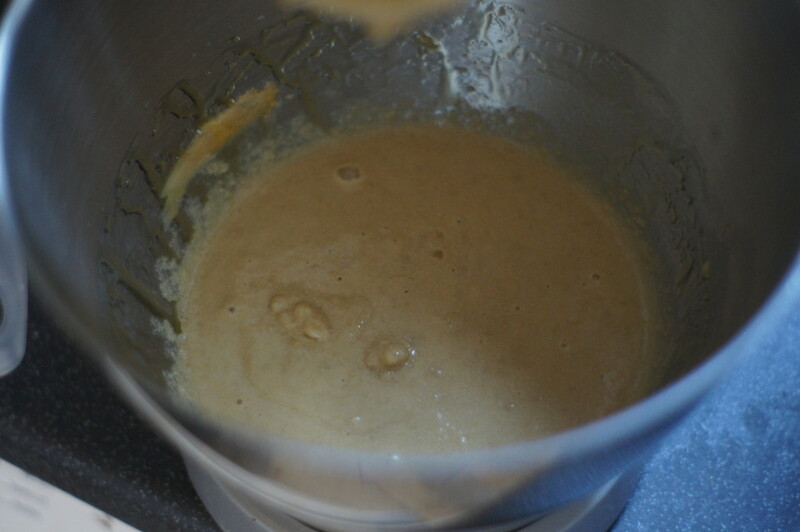 Sieve the flour into the bowl and mix again until smooth. 5) Add the bicarbonate of soda to the dried fruit and water mixture. Using a hand-held blender or food processor and whizz to a puree. Fold into the batter and spoon into the prepared tin. 6) Bake on the middle shelf of the oven for about 40 minutes until well risen and a skewer inserted into the middle of the pudding comes out clean. 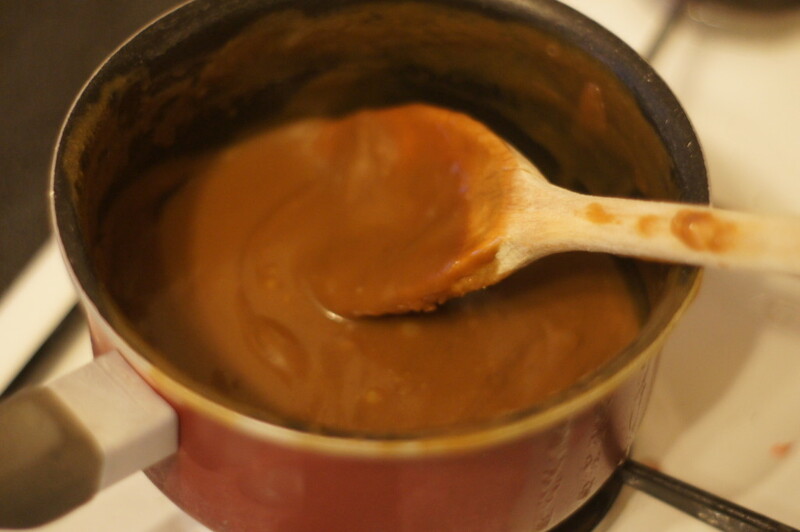 7) Meanwhile, prepare the toffee sauce. Put all of the ingredients into a saucepan over a medium heat and stir until everything is melted and well combined. Bring to the boil and simmer gently for 30 seconds to 1 minute.